Gaillardia or Blanket Flower is a beautiful perennial addition to your garden. 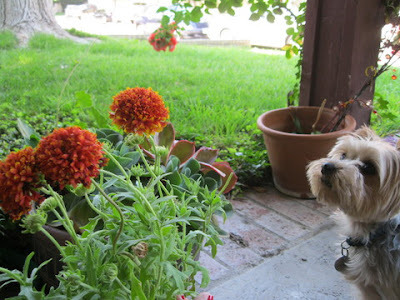 They are heat and drought tolerant, attract butterflies and other pollinators and need very little care. 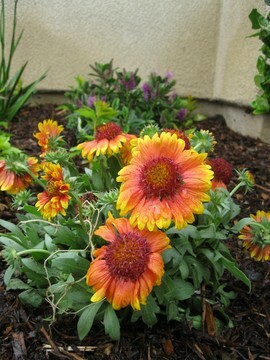 The Blanket Flower gets about 2-3’ tall and should be planted about 18” apart. They are readily available in 4” pots or 1 gallons but grow very well from seed too! 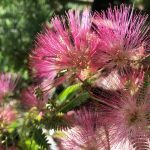 They flower from early summer through the late fall here in Southern California, so they provide a lot of bang for your buck! The Blanket Flower gets it’s name because it blankets the fields where it grows due to its ability to reseed itself. That said here are a few tips for care that will take full advantage of its attributes. If you seed it, plant in early spring, and once the seeds start getting strong and sprouting thin out to about 18” apart. During the early part of the Blanket Flower’s long bloom season deadhead the flowers on a regular basis and it will encourage more bloom – in to the fall. Once the fall bloom is finished you can allow the flower to go to seed because that is how you will get new “free” plants for next year. If you have an area that you don’t want to be filled, something you want a bit more pristine, just deadhead in the fall as well. If your plants become too tall and start tipping over, just stake them and they will look beautiful all season. 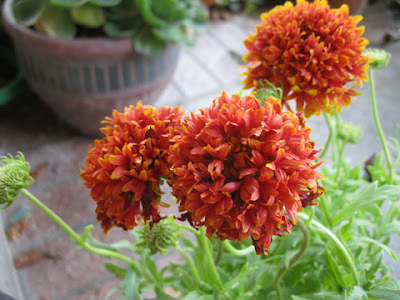 Blanket Flowers do well in garden beds, borders and even container designs, their bright cheery color is perfect for the hot summer, as the color really stands up to the heat. No fading pastels during the hot summer – how boring! Don’t forget to use them in your entry; their bright red is wonderful for bringing good chi into your home. Please visit my website, to take a look at my designs and see how you can have the landscape of your dreams!